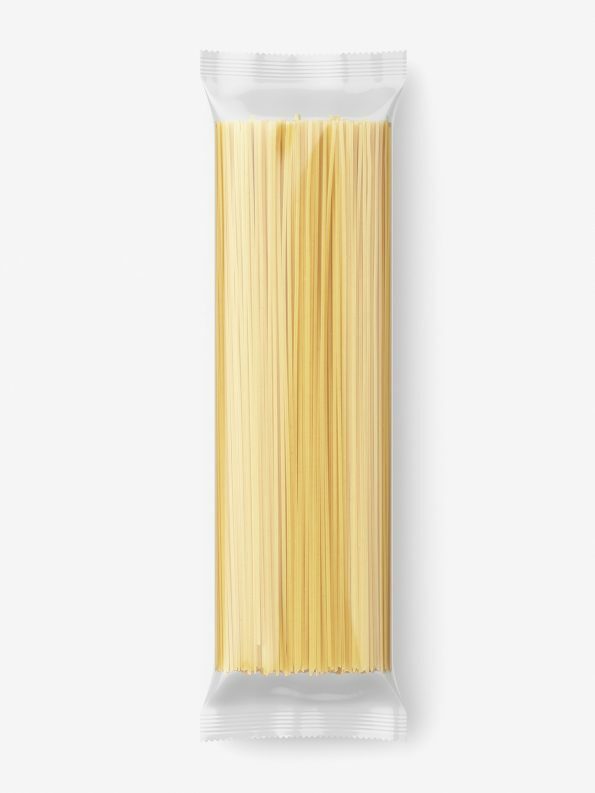 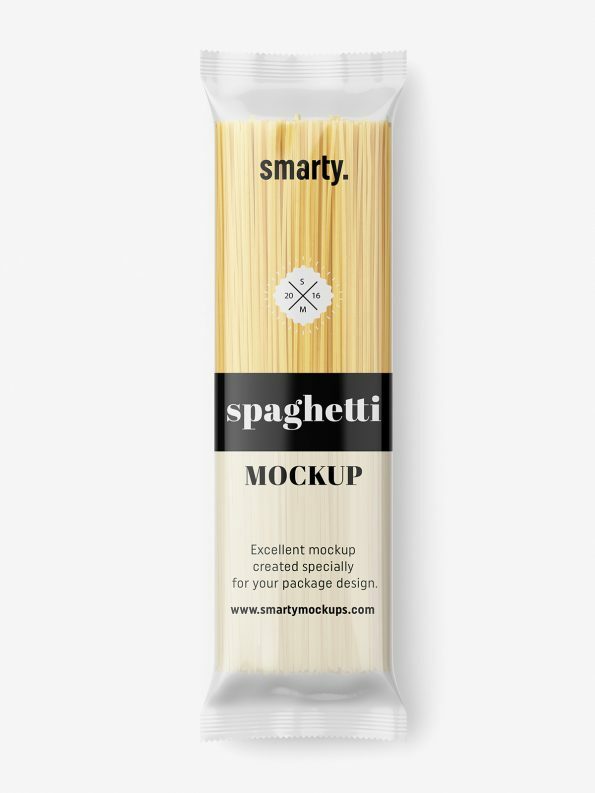 Spaghetti packaging mockup. 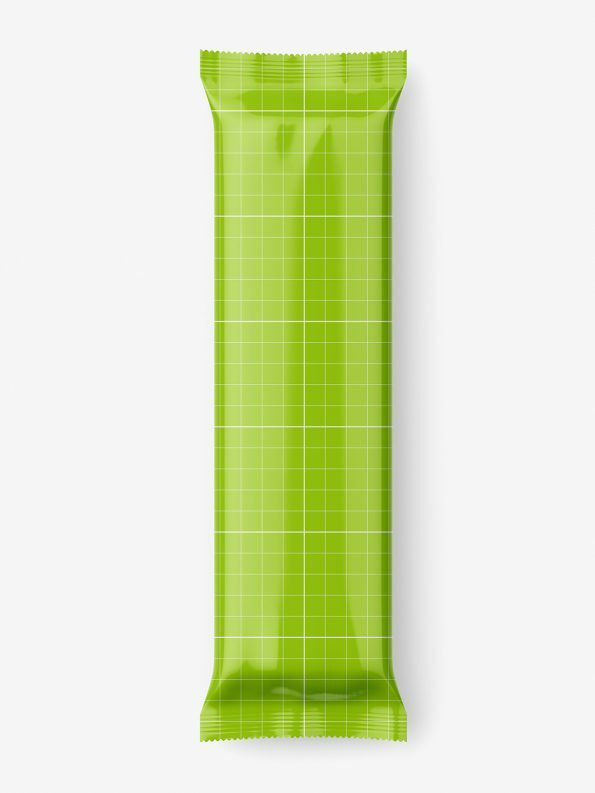 Mockup is prepared in high resolution with separated shadows and highlights. Foil transparency can be set.